Two weeks without an opening? Man, you know stuff is getting serious here. 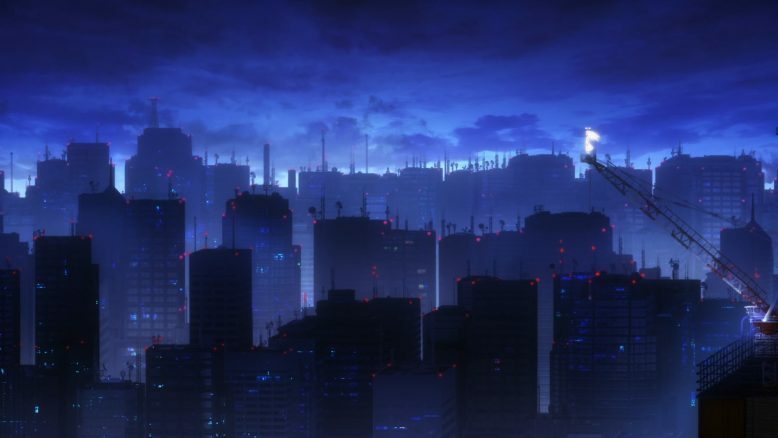 As To Aru Majutsu no Index heads towards its endgame, particularly with the reveals we got in these two episodes, its safe to say that this is a pretty epic and well written story. Written yes, adapted? Not so much. And I know I’ve been pretty much a broken record stuck on this one particular aspect of the show, but even when we get solidly good episodes like the ones in these past two weeks, it can’t help but disappoint given the amount of untapped potential that becomes immediately apparent. 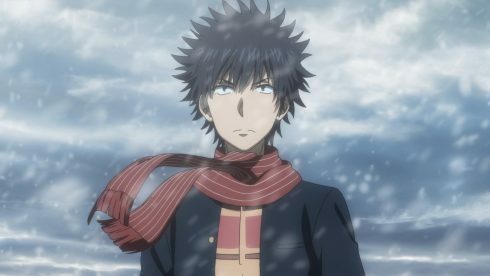 Leaving adaptation issues aside though, if these two episodes have told me one thing, its that I didn’t give To Aru Majutsu no Index and its writer Kazuma Kamachi not enough credit. Until these two episodes I had largely been viewing the events inside Academy City and its scientific side as something completely separate from the magic side of the universe. I viewed Touma, Accelerator and Hamazura as three separate entities, each showing us a different side of this unique world that Kamachi-sensei has crafted. 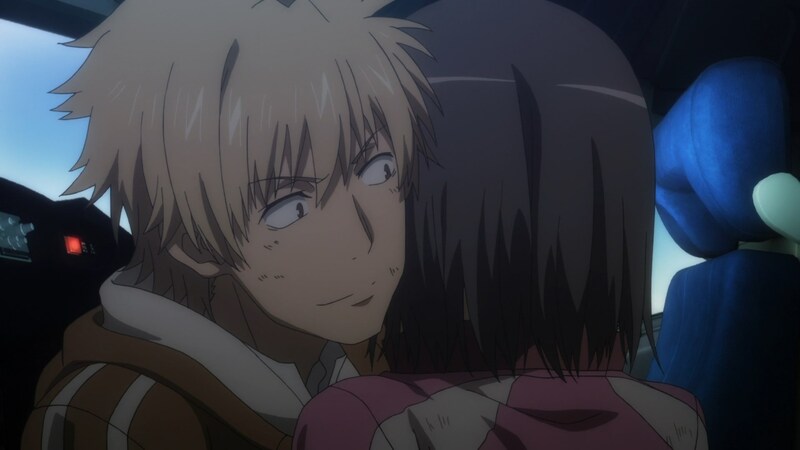 I mean, in my last post on this series I had lamented the lack of attention being given to Hamazura, and how he was a cool character that just didn’t seem to have the same focus as say Accelerator, Touma or even Misaka Mikoto. Of course, these two episodes, with their particular story that builds off from the previous Dark Groups War arc before, actually kind of breaks that whole illusion. Touma, Accelerator and Hamazura aren’t operating in their own specific parts of the world, independent from one another. No, rather, as it probably should be, everything is very much connected. 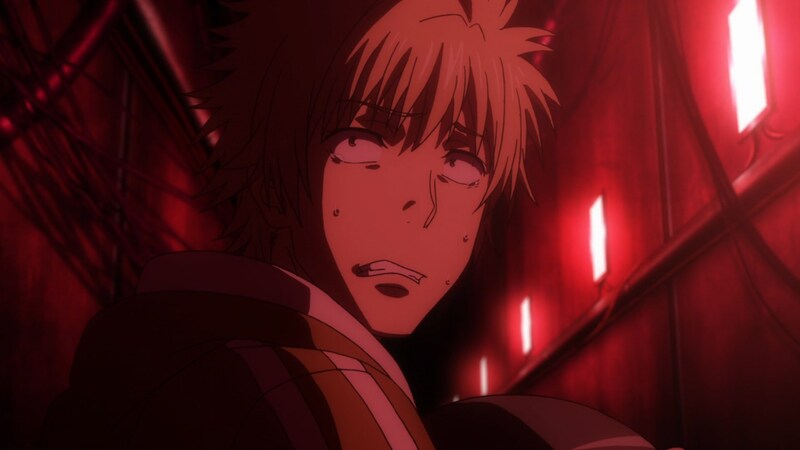 And that fact, I think, really pushes forth the genius in To Aru Majutsu no Index’s story. Until now, the show has presented facts and things in such a way where it “seemed” like each of these three characters were kind of doing their own thing, facing their own problems and what not. And that approach makes a lot of sense. In order to focus on and develop each character, they need some time apart to properly come into their own and have the audience like them. Each of these three characters needed time to really come into their own and prove themselves as protagonists to the audience, before they all collided with one another in a big cross over style event. Now… In theory this idea is fantastic, especially as we get closer and close to that big final cross over event that I assume is going to cap off the first Index story. Its brilliant, its smart, and everything about how this story plays out and develops is pretty darn entertaining and thrilling to see unfold. Unfortunately, while I get the gist of what’s going, its in this third season and how its rushed through its source material, that some of that brilliance remains as nothing more than a concept. Simply put, while the content that was covered in the previous 16 or so episodes may have seemed unimportant or uninteresting to those adapting it, its become ever more clear that it really was vitally important. Shafting not only Hamazura, but also the big mystery about DRAGON in the way that this show did, really made the big plot twist at the end of episode 18 a bit less stellar than I think it could’ve been and even is. I mean, who would’ve thought that DRAGON, the big thing that Accelerator and GROUP has been chasing after, is actually an Angel or otherworldly being that gave Aleister Crowley himself the knowledge he now possesses is well… Epic to say the least. All this time I had been thinking that DRAGON was some kind of organization or some hidden dude, but it turned out to be something that connected not only Academy City to the magic side of this universe, but Aleister and Accelerator as well. 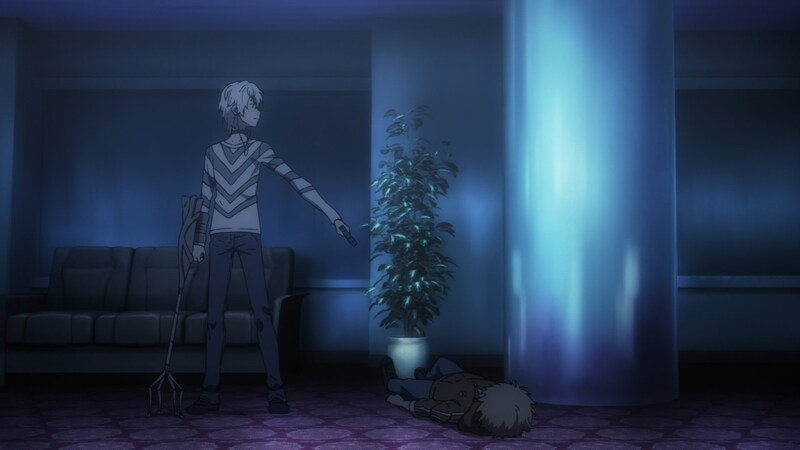 And really as Accelerator tries to take down Awais in order to try and protect Last Order, its here that things become a bit confusing and hard to follow. Its not entirely clear at first what side Awais is on, and only later do we get inklings of some mini-battle of wits between Aleister and Awais at the end. 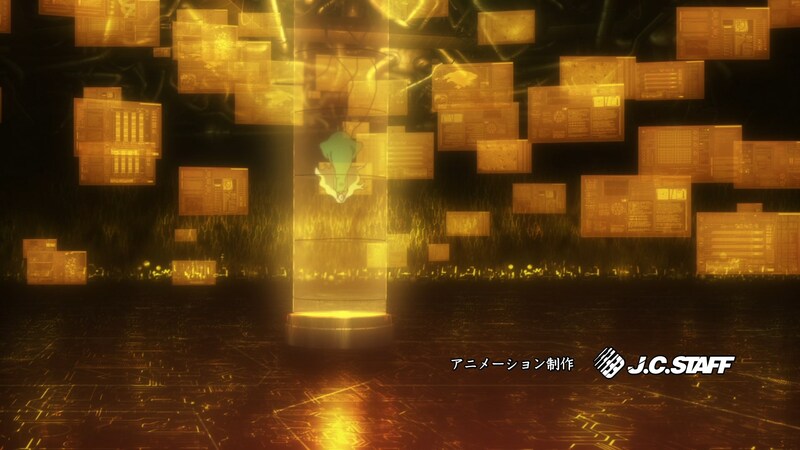 Awais ends up seemingly giving Accelerator the information he needs to try and save Last Order, which promptly sends him over to Russia (Which incidentally, is where Touma is heading right now to try and save Index). Oh and lest we forget, Awais mentions Index herself, and hints at a further connection between Accelerator’s larger goals and Touma’s. As to how Hamazura plays into all of this? I’m not entirely sure. 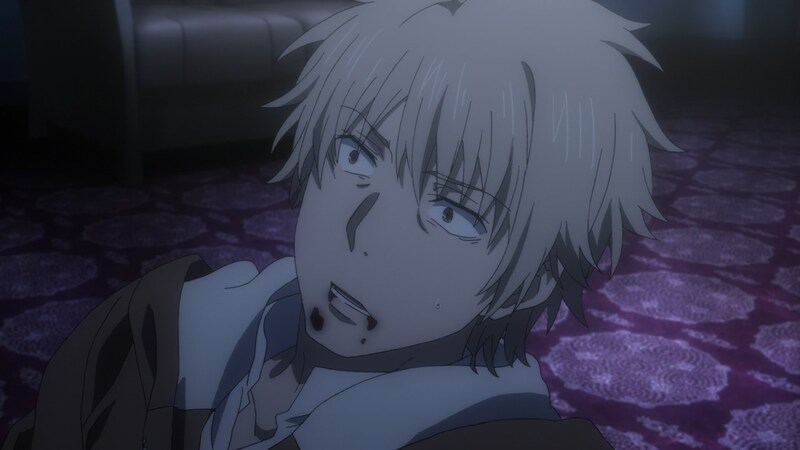 What we do find out is that Aleister wants Hamazura dead, for the simple reason that he can’t really control or predict him like he can Accelerator or Touma. Which is both funny and kind of awesome as a little tidbit of information. I mean, the guy who has literally no powers and is the weakest and most normal of the three protagonists, is the one that’s the most unknown of a variable in the grand scheme of things. The fact that Hamazura continues to survive despite all odds, really worries Aleister, to the point where he wants to remove this uncontrollable variable from the equation entirely. 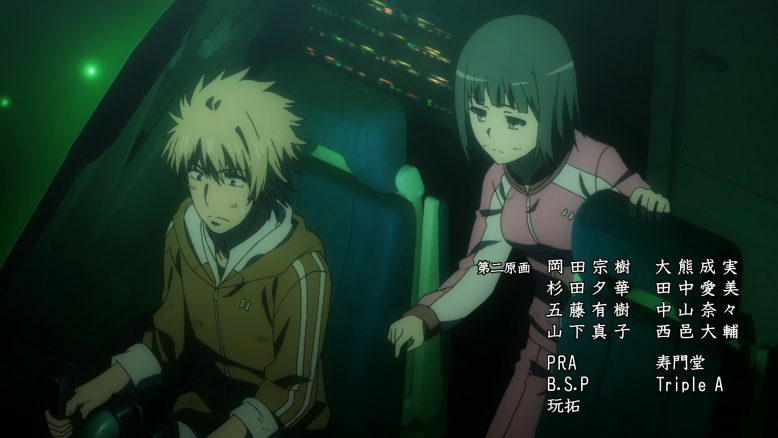 So in the end, Hamazura ends up escaping Academy City, with his girl Takitsubo in tow (on a plane that’s programmed to head to, you guessed it, Russia), but not before having a rematch with Mugino. Mugino, the level 5 who Hamazura seemingly killed last time, comes back one more time and is outclassed by Hamazura twice before he ultimately seemingly bests her for good… Or does he? Its really hard to tell, but before Hamazura’s plane takes off, there’s one more stream of green light that causes an explosion before he does indeed head off. In the light novels, its revealed that Mugino actually ends up developing a twisted sense of affection for Hamazura, and thus actually helps him and Takitsubo escape. Here? there’s simply not enough time for details like that, because the show has to get everyone to Russia, stat! But hey, I will say that I did quite enjoy both of Hamazura’s escapades in this arc. Whether it was his attempt to save Takitsubo in the hospital, or whether it was his rematch with Mugino, both things played out exceedingly well, and ultimately got him a girlfriend out of it too. Yeah, the third and seemingly less important protagonist of the franchise, is the only one who actually gets a girl and decent love life, haha. 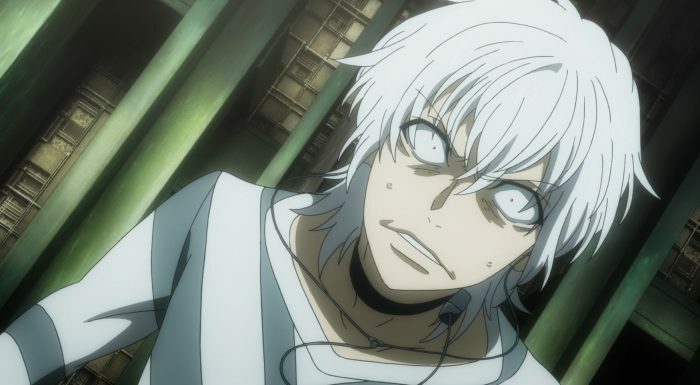 And as we steamroll towards the Russia arc where Touma, Accelerator and Hamazura will converge, I think the best way to sum it all up is how Awais analyzes each of the three protagonists. Touma is a guy who everyone thinks is righteous, but is just doing what he believes in. Acelerator wishes he could be like Touma, and thus continues to call himself evil as he struggles to redeem himself, and Hamazura is just a regular loser who ends up becoming a hero for someone he cares about. All three of these protagonists are really interesting, and in the story and timeline of this world, they’ve been through a lot and come a long way. This upcoming moment where we finally get to see all three involved in a major arc together, should be cause for both celebration and excitement. And look, I’m not saying that I’m completely devoid of excitement here, but given what we’re about to see, I feel like I should be MORE excited and more hyped than I am. You can credit the lack of amazement and excitement to Index Season 3, and how it kind of just… Does what it does at this point. The content here is really good, I just wish that this third series had given it the attention and time it deserved. I wish this Season had been only the first of another 2 or 3, but we are where are. 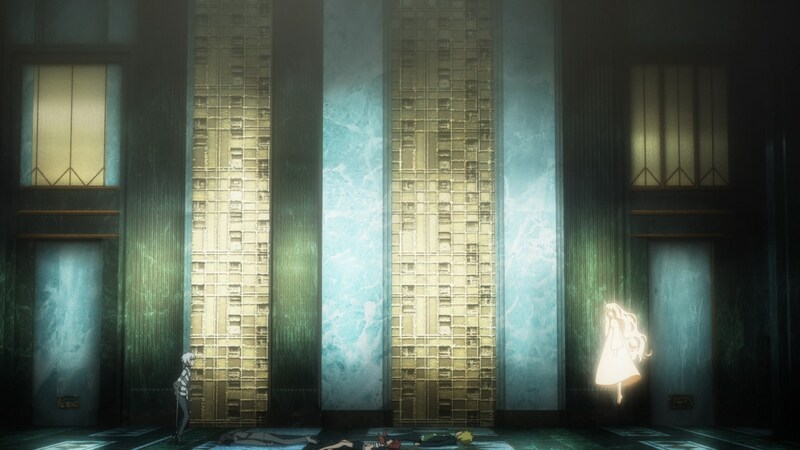 At the end of it all, I guess the biggest and most noteworthy thing about Index III is most certainly going to be the fact that it just really rushed through what was a really interesting, intricate and well thought out story.